Making your way through Manhattan like you own it! 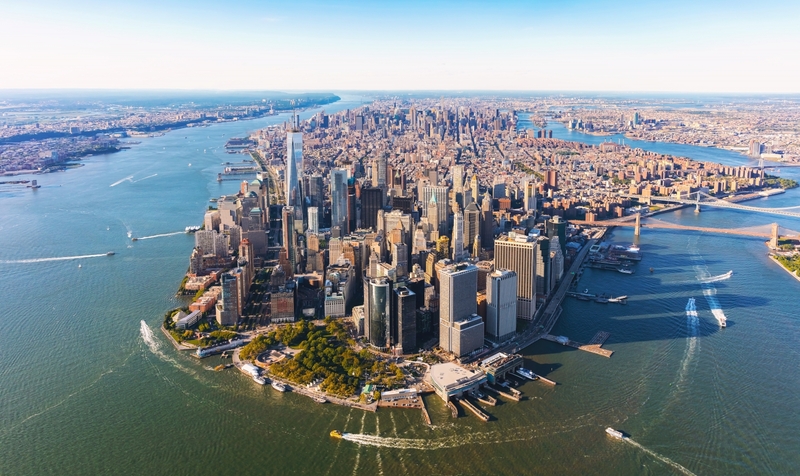 Manhattan has a unique beauty, with both modern and historic sites that are must-sees for tourists his popular destination can be a little intimidating with its big city hustle and bustle, and some might have some anxiety about how to get around to take in what they want to see and do. As we say in our fun Infographic, “Seven Ways To Spot A New Yorker,” this tribe just doesn’t stop for anything, even to ask directions. The following guide, along with help from some of the area’s experts at Top View NYC, a hop-on, hop-off sightseeing bus, allows tourists to navigate the city of Manhattan with ease. Stand in awe at the bright lights of Times Square that, up until now, were only a vision of something you saw on television. Along with all of the flashing electronic screens you’ll experience musicians strumming guitars, violins, and playing flutes and singing; shops galore; Planet Hollywood; Madame Tussaud’s wax museum; famous theaters and bumping elbows with plenty of fellow tourists–and THAT’s just a few of the things you can do. This popular intersection is located at Broadway and Seventh Avenue. This district is a dream come true for art-lovers, because it’s home to some of the most well-known galleries. Tourists can stroll through exhibits that feature work from both emerging and well-known artists, and then they can take a walk through The High Line park–which is a piece of art in itself. After you’ve walked around and worked up an appetite, visit the Chelsea Market for some food and fun. Chinatown is located in Lower Manhattan. This is the place to get authentic Chinese food, with over 300 restaurants to choose from. Shop the unique stores by day for hidden treasures and let loose at night at one of the karaoke or comedy clubs. Little Italy is home to the 11-day Feast of San Gennaro festival, each September along with plenty of other festivals and street fairs throughout the year. You can shop til you drop and when you do drop, make sure it is at one of Little Italy’s authentic Italian restaurants. If there were ever a place in Manhattan to run into a celebrity, Tribeca is it. This hip neighborhood is home to trendy, and expensive, lofts, many of which are owned by celebrities. The Tribeca Film Festival also takes place in this neighborhood each year, screening some of the movie industry’s next big films. The Harlem neighborhood is a great place to get a taste of southern soul food and also a place to learn the history of the Harlem Renaissance movement. This movement catapulted African American artists to become legends in music, literature and the arts, many of whom performed at the neighborhood’s Apollo Theater. The city of Manhattan is rich in history, arts, entertainment and places to explore. The city is truly a tourist’s playground with something for every age and interest to enjoy. If you’re coming for more than a day, the accommodations in Manhattan also provide something for every person and every taste in style. Whether you prefer simple or fancy hotels, historic brownstone bed and breakfasts or private rentals, it is more than likely available for your stay in the city. NEXT POST Next post: How to prepare yourself for a fishing adventure in Alaska?